Sir George Martin was born in Highbury, London on January 3rd, 1926. In 1943, Martin joined the Fleet Air Arm of the Royal Navy and served until 1947. Shortly after leaving, he studied piano and oboe at Guildhall School of Music and Drama. He worked for BBC’s Classical Music Department, and after that, EMI Records, working for the company’s Parlophone Label. There, he spent some time recording British Comedians, jazz music, cabaret music and even Scottish dancing music. George Martin was head of A&R at Parlophone and with that, he wanted to bring in some real rock ‘n’ roll to the label. Eventually, a friend told him about Brian Epstein, The Beatles’ manager. The group had been turned down by several different labels but his friend thought Martin should give them a listen. After several meetings between Epstein and Martin, Martin finally met The Beatles for their audition on June 6th at Abbey Road. George Martin signed the band. In September, 1962, they recorded “Love Me Do” which ended up as #17 on the British charts. After that, they recorded “Please Please Me” which made it to #2 in early 1963. Then finally, “From Me To You” reached #1. George Martin clearly made an excellent choice by signing the group. He went on to produce all of their recordings up to their Abbey Road album. George Martin’s age and cultural differences from The Beatles was a very positive thing. When the group began taking drugs and the music became more and more psychedelic, the production didn’t change. Martin says “I saw the music growing, but I rather saw it like Salvador Dali’s paintings. I didn’t think the reason for it was drugs. I thought it was because they wanted to go into an impressionistic way.” That being said, the group truly trusted Martin’s insight and production. George wanted to add a string quartet to the song “Yesterday”. With hesitation, it’s said that McCartney told Martin “Oh no, George. We are a rock and roll band.” With some persuasion, Martin showed Paul strings were put together in a quartet. He put the cello in the low octave and the first violin in the high octave. With such success, this song went on to be one of the most recorded songs ever with adaptations by Frank Sinatra, Ray Charles, Elvis Presley and many other talented musicians. 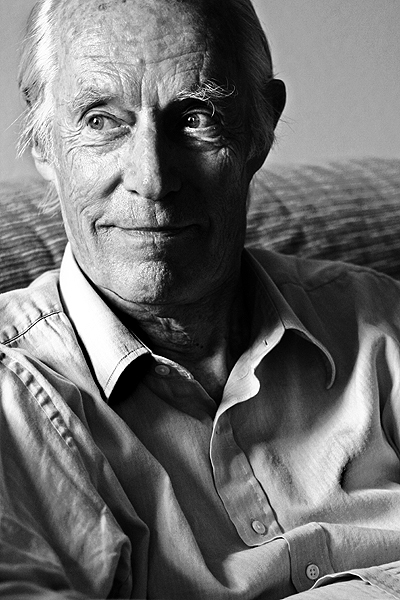 George Martin is also well known for his recording techniques that have changed the world of recording for everyone. On “In My Life”, Martin wrote the Bach-inspired piano solo at half tempo but he himself couldn’t play it. He had the engineers, Brian Kehew and Kevin Ryan record the part with the tape running at half-speed so when it was played back at normal speed, it was an octave higher and twice as fast. This technique was also used many other times on the groups recordings, especially on “Strawberry Fields Forever”. 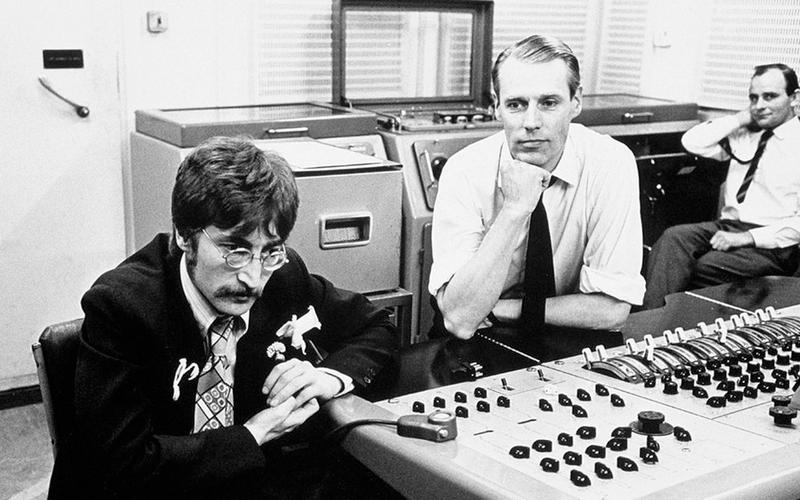 Along with that, George Martin also used a technique when recording the song “I’m Only Sleeping” where he would have the engineers run the tape machine backwards as he composed a solo that would fit the dream-like ambiance of the song. STEED was another technique that Martin created that is still used today. “Single Tape Echo / Echo Delay”. In the 1950’s, this technique was used extensively in many recordings. It’s where you take the recorded (dry) signal and send it into the studio’s echo chamber using a tape machine. The dry signal, without delay, was also sent to the chamber via the tape machines replay head. The sound created was then picked up by two condenser microphones which then fed the wet signal back into the recording console. The amount of feedback was controlled by allowing multiple delays in to the reverb chamber which lengthened the effects delay time. Known by the group as “a realizer of ideas”, Martin’s job was bigger than their producer. When making Sgt. Pepper’s Lonely Hearts Club Band, the group’s ideas were a little extreme and very weird; it was Martin’s job to “realize” these ideas and make them happen. 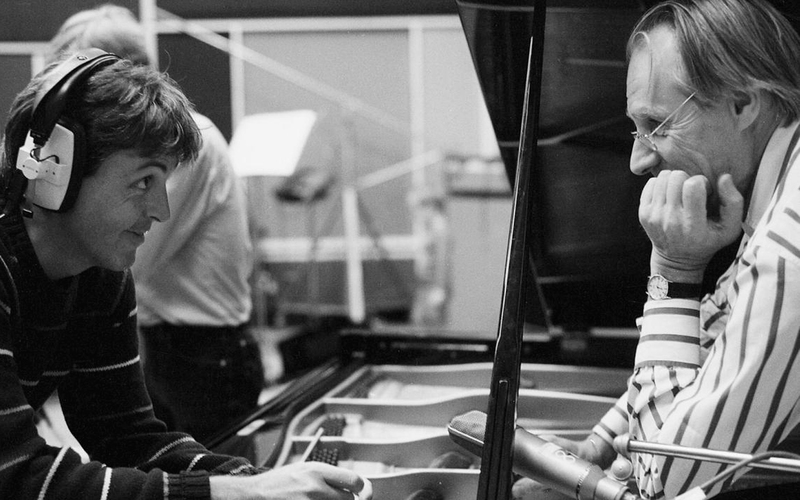 Besides of his famous work with The Beatles, George Martin also produced music for Elton John, Celine Dion, Jeff Beck and many other talented artists. Rock ‘N’ Roll is what it is now, because of George Martin. So many of the albums he worked on have changed the face of music. Without his talents and hours of tireless work, music wouldn’t be what it is today. In 1996, he was knighted “Sir George Martin”. In 1997, he released what would be his final single, Elton John’s “Candle In The Wind”, a tribute to Princess Diana. After five decades of being in the music industry, he decided to say goodbye to record production with his final project, In My Life, a collection of Beatles songs as performed by actors and musicians. George Martin was responsible for 30 Number One singles in the U.K. and 23 Number One singles in the U.S. His memory will forever be carried through all of our lives with his music.